In recent weeks, parents may have noticed that there have been some early dismissals and days in which students are not in session (Pro-D Days). While we know these days occur throughout the year, some folks may not be aware of the “why” behind these important days. Professional Development Days (or Pro-D Days) are days in which students are not in the building, but teachers are still at work. As we say to the children, Pro-D Days are the days when the teachers become the students! These days do not result in a loss of instructional time for students as these days are added to the school calendar. Professional Development Days are an integral piece in maintaining the ongoing learning for all our staff so we can enhance our instructional practices, and stay updated on current research, policies and curricula. Education, in general, is constantly cha nging and evolving, and these professional development days allow teachers to attend district and/or provincial workshops and conferences or work with peers to enhance their practice in order to best serve our students. On October 5, our staff attended a district-led Pro-D Day on Assessment. Teachers attended various sessions on formative assessment (or assessment that guides instruction to enhance student learning). Some learning sessions included: adding learning intentions into daily practice, how to enhance assessment practices for reading, writing and numeracy and providing effective feedback to guide student progress and achievement. Teachers walked away with practical ideas that many implemented on the following Monday. 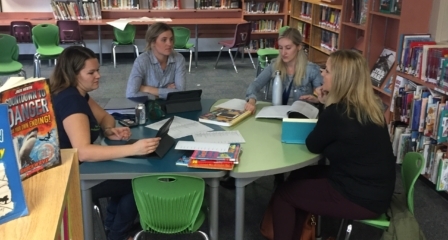 At James Hill Elementary, we always create time during our staff meetings to ensure teachers can share some of their learning from these professional development workshops. Teachers really appreciate learning from one another! On the October 19 Pro-D Day, many of our staff attended a Social Emotional Learning workshop to learn more about the Zones of Regulation, which is also part of our 2018-19 Action Plan for Learning. 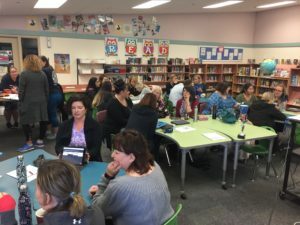 Teachers and support staff found this workshop very helpful as we continue to teach the self-regulation strategies to our entire student community. We have recently shared some of the resources around Zones of Regulation with our parent community (see newsletter). We will continue to share these resources with our parents to build supports between school and home so all of our learners achieve success! Collaboration afternoons are days when students are dismissed 75 minutes early. 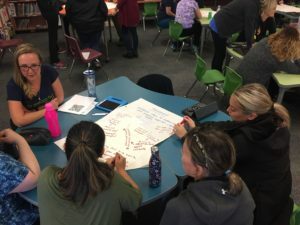 These afternoons are designed to allow time for teachers and support staff within a school to work together and engage in activities and discussions to support student learning and achievement. During these 75 minutes collaboration sessions, staff design and enhance learning opportunities for students. These valuable sessions are important to staff so they may work towards supporting the school’s Action Plan for Learning and the Langley School District’s Framework for Enhancing Student Learning. Research shows that collaborative time for teachers to undertake and sustain school improvement is essential (Fullan, Michael G. and Matthew B. Miles. 1992. “Getting Reform Right: What Works and What Doesn’t.” Phi Delta Kappan: 745–752). A thriving learning organization is one in which there is opportunity to discuss practice, collaboratively design materials, inform and critique one another (Little, Judith W. 1982. “Norms of Collegiality and Experimentation: Workplace Conditions of School Success.” American Educational Research Journal 19, 3: 325–340). On our JHE collaboration afternoons, we often will bring in District Coaches or speakers to foster professional, collaborative discussion and learning to support our Action Plan. 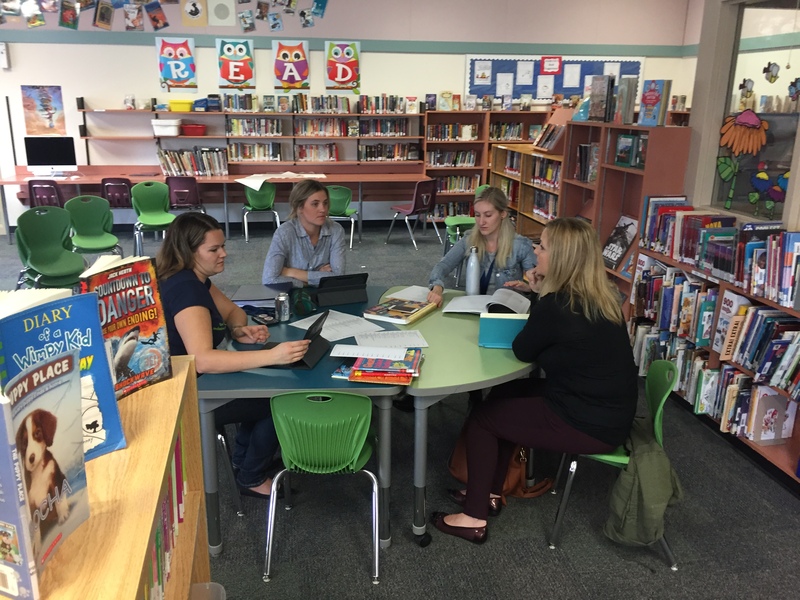 On October 29, teachers developed several themes for various collaborative groupings including: Reading Power (to support our literacy goals), numeracy, Zones of Regulation and Learning Intentions. The time spent creating and designing enhanced plans for instruction was incredibly valuable! 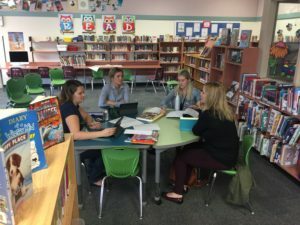 The Langley School District and James Hill Staff are committed to the ongoing development of instructional practices to increase student achievement.